You can schedule appointments with Eran by clicking here. 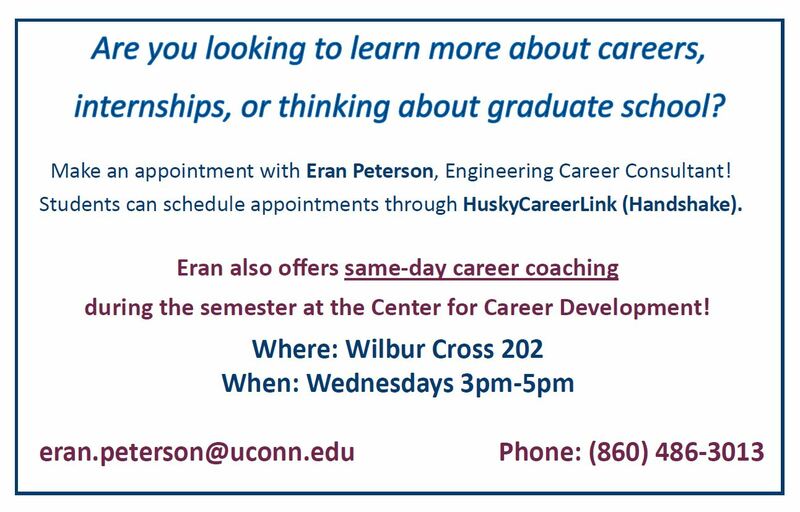 To see Eran’s availability, select “Storrs 30 Minute Career Coaching- Engineering”. About Eran: Eran is the Career Consultant for the School of Engineering. With expertise in job and internship search strategies, résumé and cover letter development and interview preparation, Eran helps to identify and tailor career development to meet individual needs. Additionally, Eran regularly provides workshops to classes and campus organizations on all career related topics. 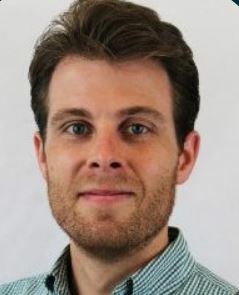 In addition to his previous experience in the field of manufacturing, Eran served in the Connecticut Army National Guard for 8 years and deployed to Iraq in 2006. Upon his return, he completed a Master of Science in Counselor Education with a specialization in Student Development in Higher Education from Central Connecticut State University and has worked in both public and private university settings.